Democrat Janice Hahn’s special election victory over Craig Huey in the 36th District on Tuesday extended a Republican losing streak that dates back to 1998. Democrats have now held their California U.S. House seats in 192 consecutive general election races over the last six cycles plus eight seats in special election races they have had to defend since 1999. But while the Republicans are currently suffering through a 0-200 stretch in pick up attempts, Democrats have won seven GOP-held seats in California out of 125 general and special election matchups during this 13-year period, or a 6 percent pick-up rate. In what has long perceived as the Left Coast, it will be interesting to see how crucial those California votes suddenly become in 2012. The Weimarization of California, look at what Europe is going through now California could be next. The Dems have had the majority in this state for decades and have ruled this state with an iron fist in both the state legislature and the federal legislature. Social engineering with a PC spin. Two words, Fiorina and Whitman. If that is the best the California Republican party can do, then the Dems. don’t need to ever fund raise again. What did Brown spend?, almost nothing compared to the cash juggernaught that went down in flames last election. It was the republicans election to loose and they did it in grand old style. Did they learn anything? We’ll see, but I doubt it. If the California Republican Party was a horse, it would be shot, shot as in put down. But then who would have pulled all you worthless democrats in the welfare wagon you have created? The problem with liberals is they ran out of money, other peoples money and now the chickens have come home to roast, except you dumbasses have leveraged the chicken coop to the Chinese and they want their $$$$. A PRIME EXAMPLE OF A DEMOCRAT! The bill by Assemblyman Gil Cedillo, a Los Angeles Democrat, lets students who pay in-state tuition collect privately funded college scholarships. I can’t even imagine the terrible shape we’d be in if the dems didn’t hold the house seats. Now that we got rid of our repub gov. perhaps we can clean things up. Evidently you did not get the memo, CALIF. IS BROKE AND YOU DEMO’S DID IT! How’s the illegal thing working out for you now???? Non of the problems we have due to the Dems. Perhaps you missed the memo that stated that the entire country is broke and became that way due to a Repub prez admin. What did Arnie do to help us out,,,,oh yeah he had affairs. I may not like some of the cuts that Jerry’s enacting but he’s taking action that will eventually help this state. What did Arnie do to help this state? AZ has huge problem with illegal immigrants and drugs and they are a Repub state, hows that working for them? That is a fed problem that neither side has had the cajones to do anything about. Most political parties shoot themselves in the foot fairly often, but in this case it is the head. 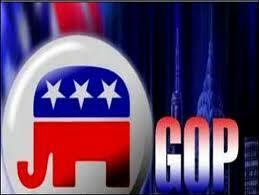 The various central committees of the Republican Party are filled with folks who don’t do very much. They seldom — if ever — walk precincts or take an active position on any important local issue. However, they do complain, a lot, to themselves. It reminds me how –in my younger days — Ronald Reagan realized that he needed to build his own organization and bypassed the standard political apparatus altogether. If I were leading the Democratic party in California, I would do everything I could do to encourage a token resistance… so I could blame someone else for this mess. And what a wonderful job the democRATS have done with the state of Calif.
We are bankrupt and over ran with illegals with sanctuary cities. Los Angeles County alone spends $52 million a month on illegals and Cali alone spends about $21 BILLION a year. And with the new democRAT gov we will see the flood gates open on new taxes and more spending and borrowing. Isn’t gerrymandering wonderful? Damn thing really works. The new cycle should be interesting what with new districts and all, although there aren’t any predictions of significant numbers of contentious races.